Here’s THIS YEAR’S Guest of Honor batches, which were handed out to the #CVG2012 Guests of Honor at the hotel last night. I say last night, but I’m pre-scheduling this post on Wednesday, so they don’t have them yet and I’m still hoping they’ll like them! This is the grand finale to several days worth of posts sharing the art I’ve done for badges for the past several years of CONvergence. Author Bonnie Burton is a fan of Star Wars and Bettie Page, so there you go. 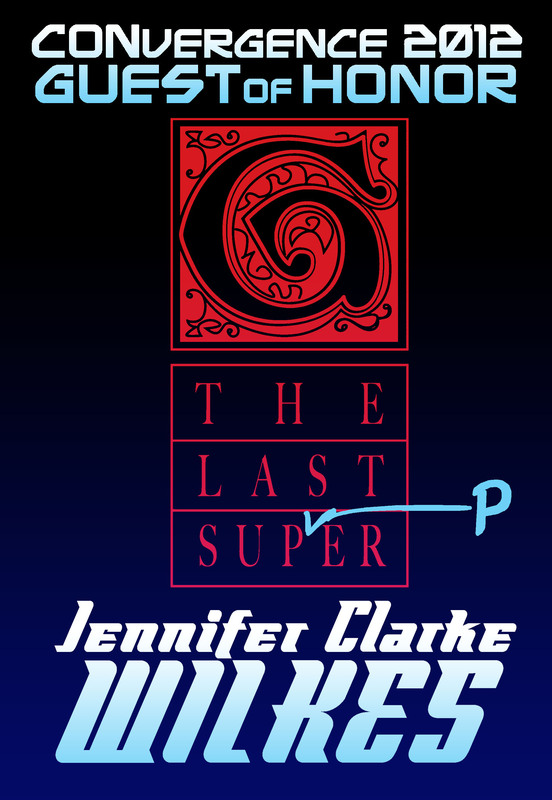 Jennifer Clarke Wilkes is an editor, notably of the book The Last Supper. So you can see what I did with a parody of that book’s cover. I hope she finds this joke funny. 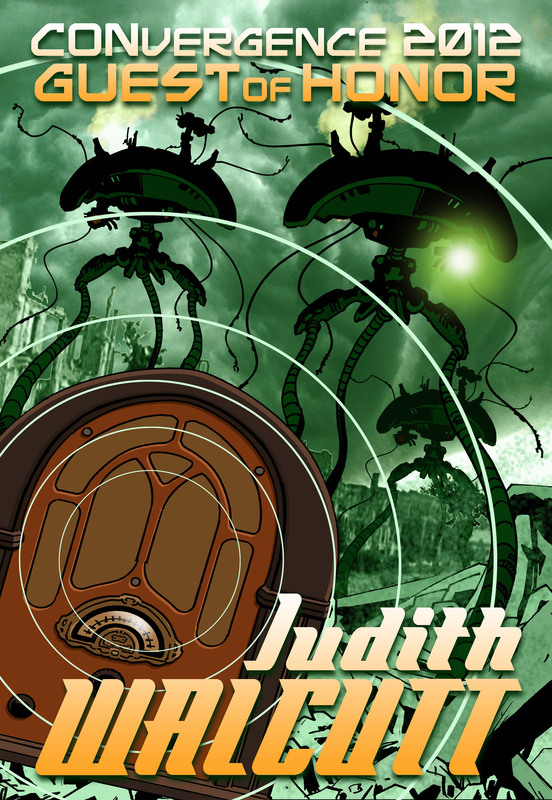 Among her other credits, Judith Walcutt was Executive Producer of the The War of the Worlds 50th Anniversary Production. 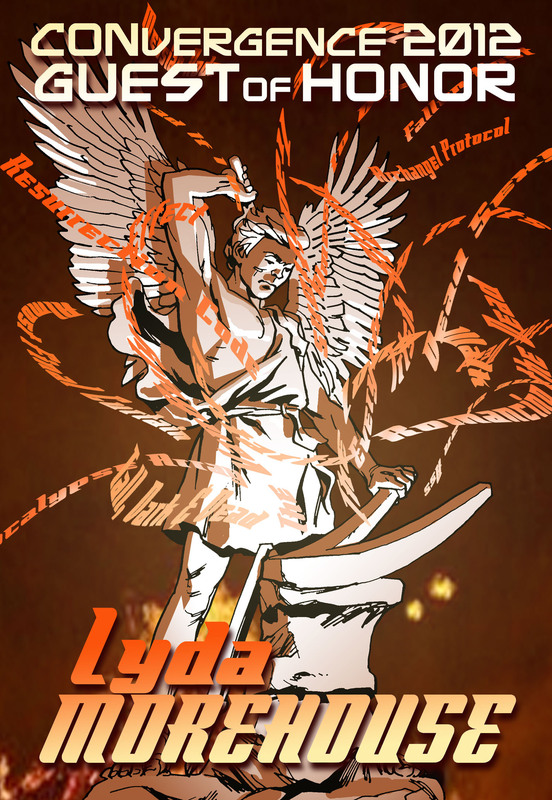 Author Lyda Morehouse’s badge is a reference to her writer’s group the Wyrdsmiths. 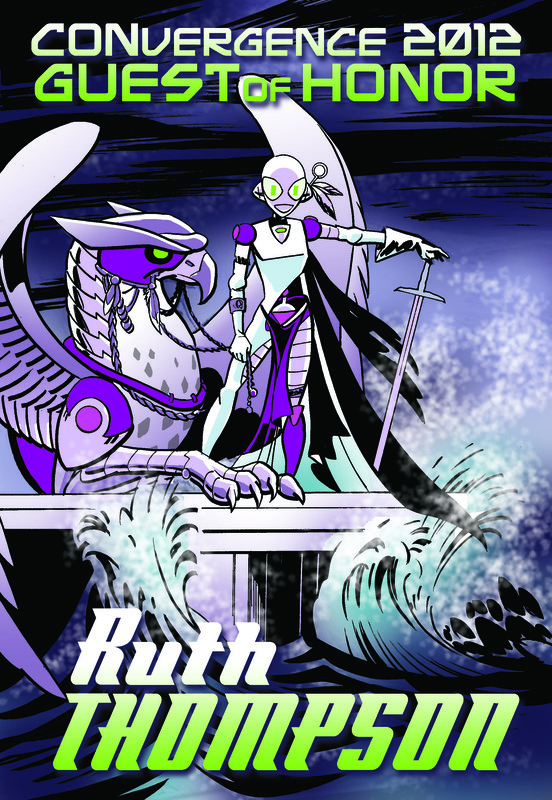 Ruth Thompson’s badge is a Connie-fication of Ruth’s print Eye of the Storm. 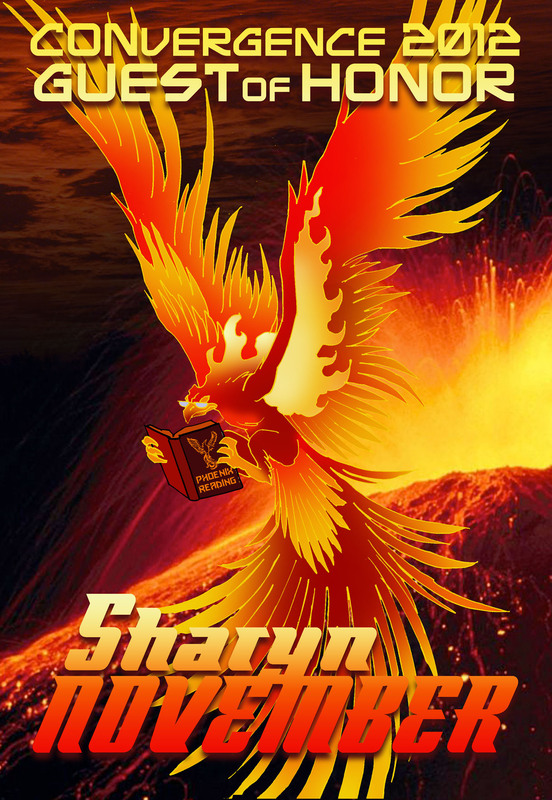 Sharyn November is the author of the Firebirds series, including the award winning Firebirds Rising. 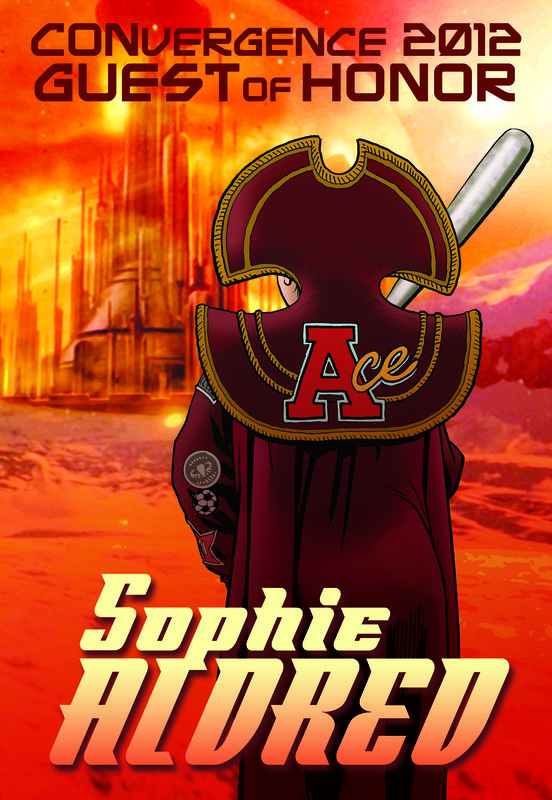 I love Sophie Aldred as Ace from Doctor Who, and this was the badge I had wanted to do for her since I first learned she was coming to CONvergence as a guest. 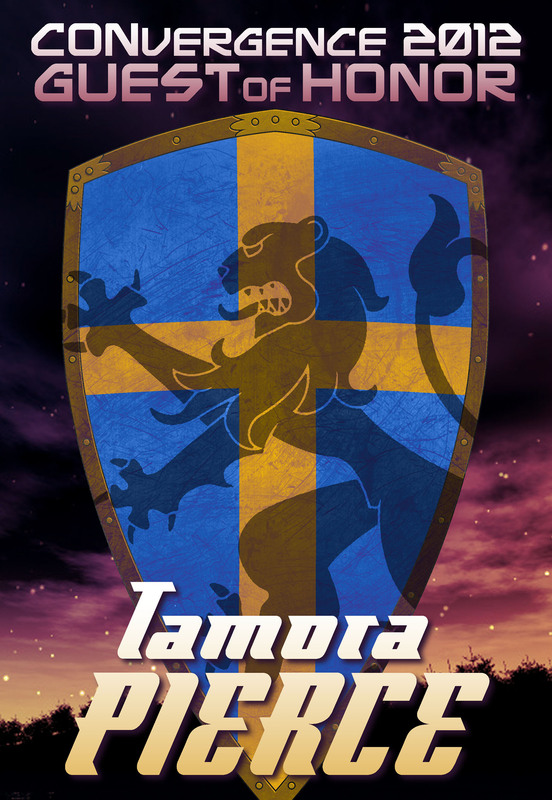 And finally Tamora Pierce’s badge is a reference to her Songs of the Lioness series. So these guests are walking around the Double Tree hotel in Bloomington, Minnesota wearing these badges. Hopefully they like them. Once again, watch for all the CONvergence-related tweets at #CVG2012. I hope to see many of you there! Look me up at one of my signings or panels! I promise to return with some Young Justice blog posts soon!